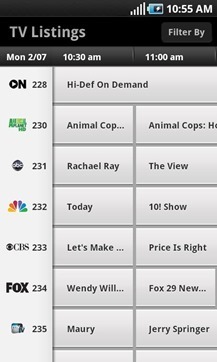 Version 2.0 of the XFINITY TV Remote app is different. 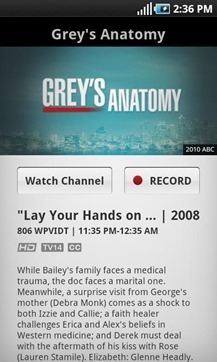 Not necessarily good, mind you, but different. According to the changelog a "design update" is the only thing that has changed, and indeed, the new screenshots show off a cleaner, flatter look that should make it somewhat easier to read, though the text is still pretty tiny. 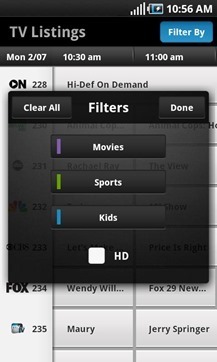 The interface also does away with gradients and shadows that made it a bit too busy. 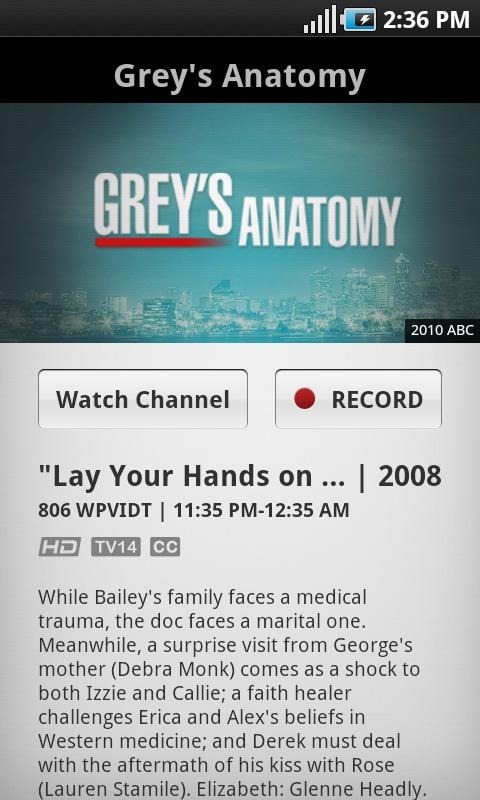 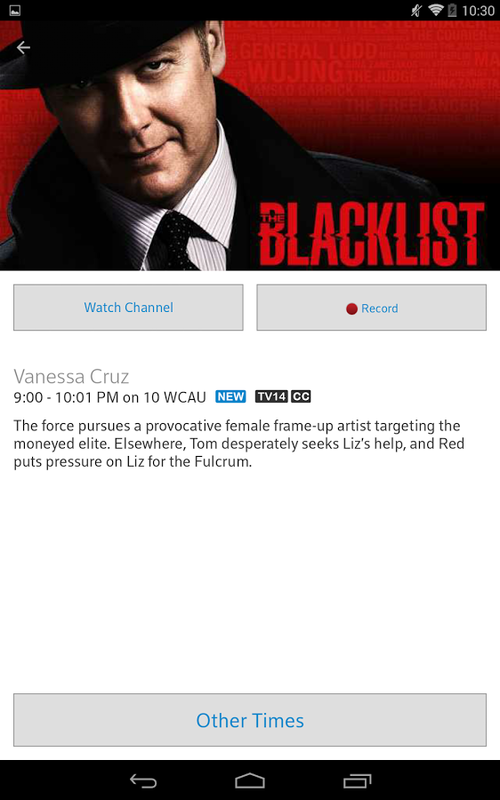 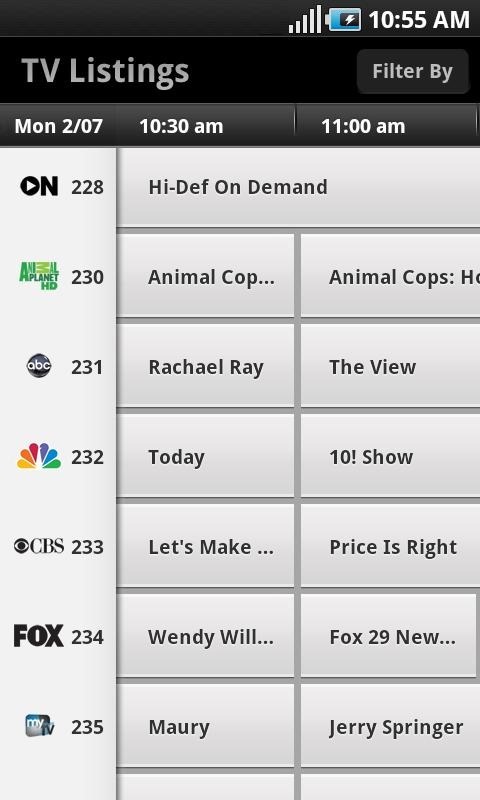 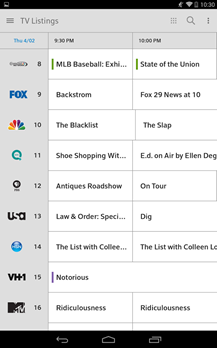 The app still omits an "enter" or "OK" button, so in order to actually watch a show you have to dive into the listing and select "watch channel." 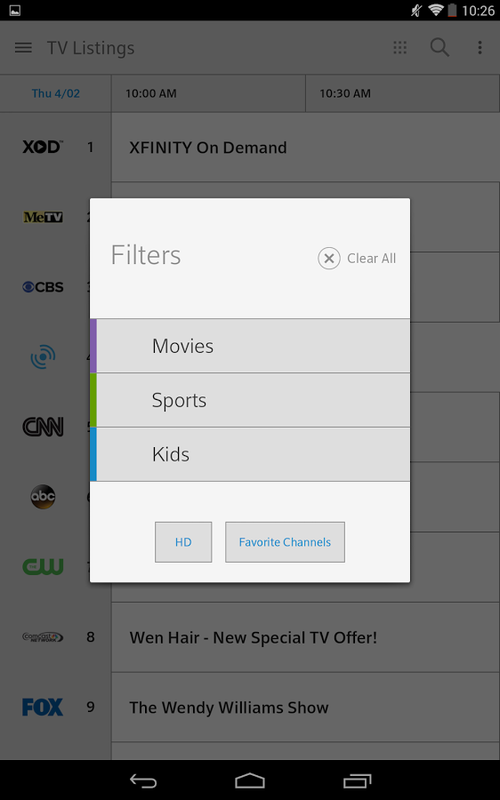 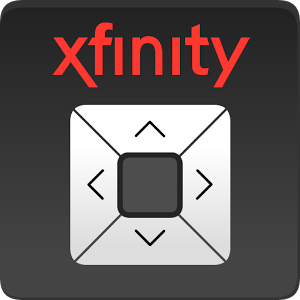 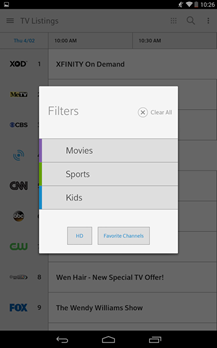 To use the XFINITY remote app you'll need a compatible set-top box and an active XFINITY log-in account. 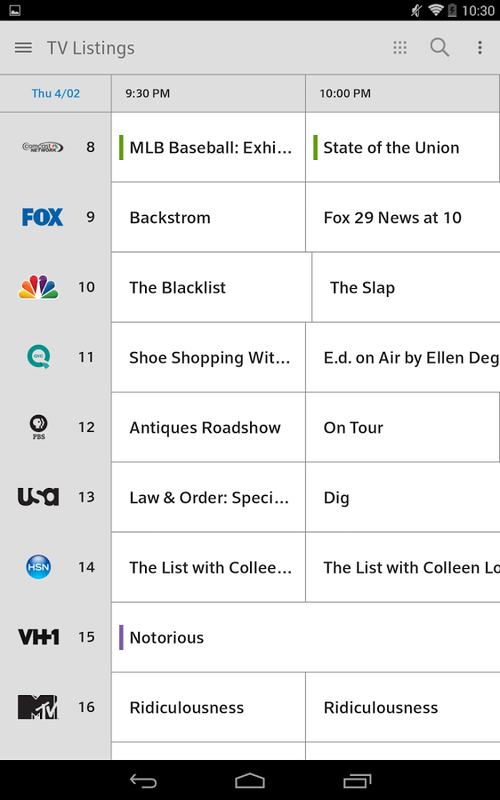 Or you can get a $10 universal remote, which seems like a slightly less frustrating option.